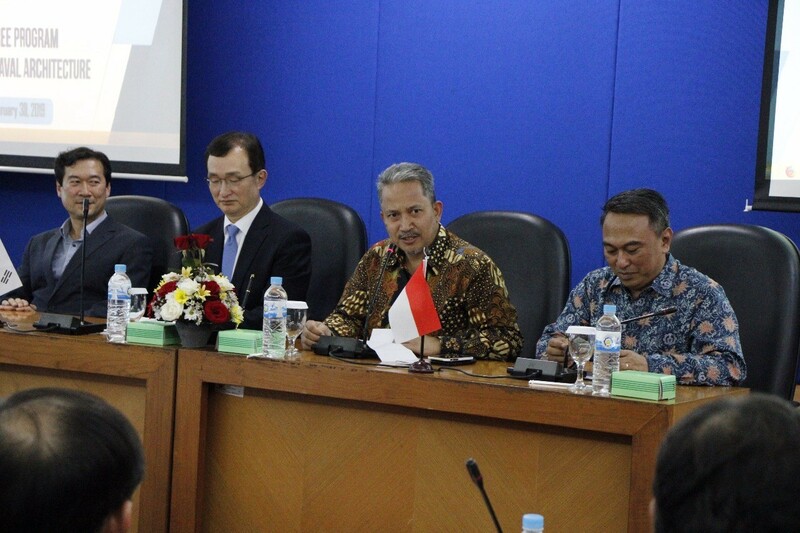 ITS Campus, ITS News – To support the vision as World Class University, Sepuluh Nopember Institute of Technology (ITS) strengthens international collaboration with various foreign universities. One of them is the joint-degree cooperation program with Mokpo National University, South Korea which was marked by the signing of a Memorandum of Understanding (MoU) and Memorandum of Agreement (MoA), Wednesday (30/1), at the ITS Rector. The signing was carried out by ITS Chancellor Prof. Ir Joni Hermana MSc ES PhD and President of Mokpo National University (MNU) Prof. Park Min Seo. The collaboration of the joint-degree program for S1 (bachelor) level is specific with the Department of Naval Architecture and Shipbuilding Engineering, ITS Faculty of Marine Technology (FTK). In his speech, Joni said that this collaboration with MNU was a very good step for ITS. Moreover, ITS is currently incessant to conduct technological research, especially in the maritime field. “ITS currently has a lot of research, especially in the maritime field,” Joni said. While Park Min Soe said, Korea and Indonesia actually have something in common, namely having a broad sea. Therefore it is important to strengthen its maritime field. “I hope in the future the maritime field can help make a huge contribution to the economy,” Park Min Seo said in a translated Korean speech. One of the MNU delegates, Lee Chang Dai, said that the collaboration with ITS was between the ITS Naval Architecture and Shipbuilding Engineering Department and MNU’s Naval Architecture and Ocean Engineering Department. Later, around 80 students will be sent annually to MNU. “With the details of around 30 students in the first year and the rest after the second year,” explained the Director of MNU’s Institute of International Exchange & Education. On the same occasion, ITS Deputy Rector IV Prof. Dr. Ketut Buda Artana ST MSc conveyed, this joint degree program will be in the form of three-year lectures at ITS and one year in MNU, Korea. 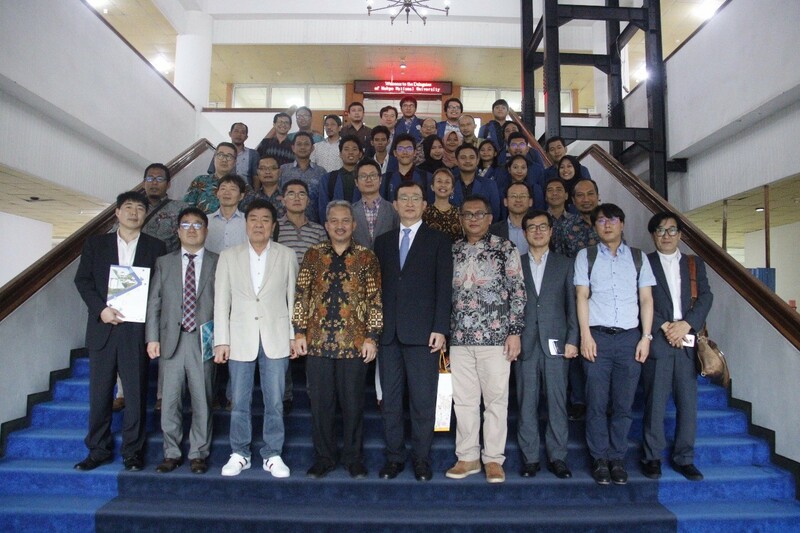 “Students will take around 81 credits (semester credit units, editor) at ITS and 63 credits at Mokpo National University,” explained the professor of Naval Architecture Department.